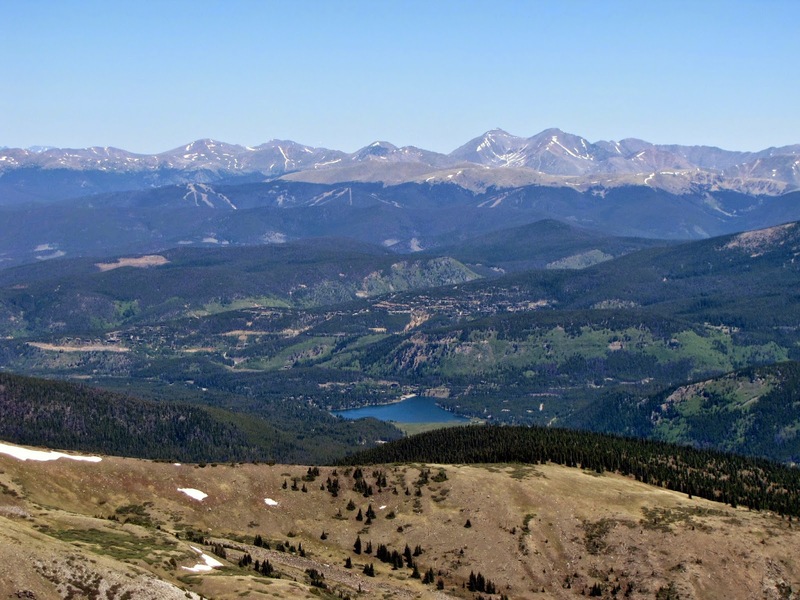 Directions: From Breckenridge head South on Hwy-9 through the small town of Blue River. 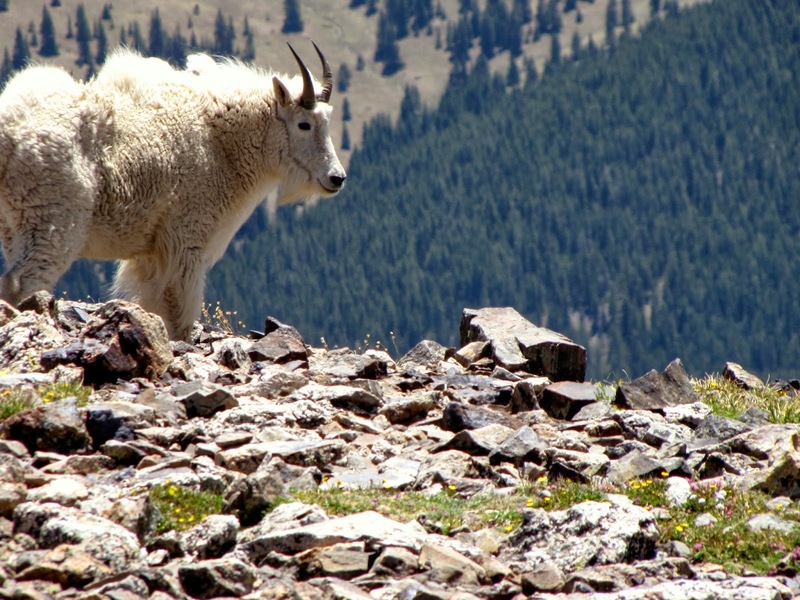 Look off to the right and you'll soon see Quandary rising above the road. 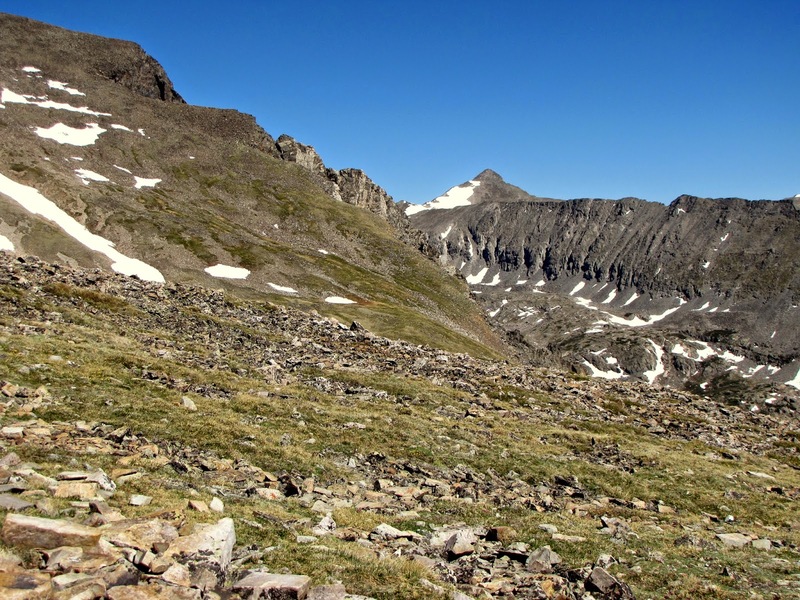 Also, you'll see a sign pointing to the trailhead. 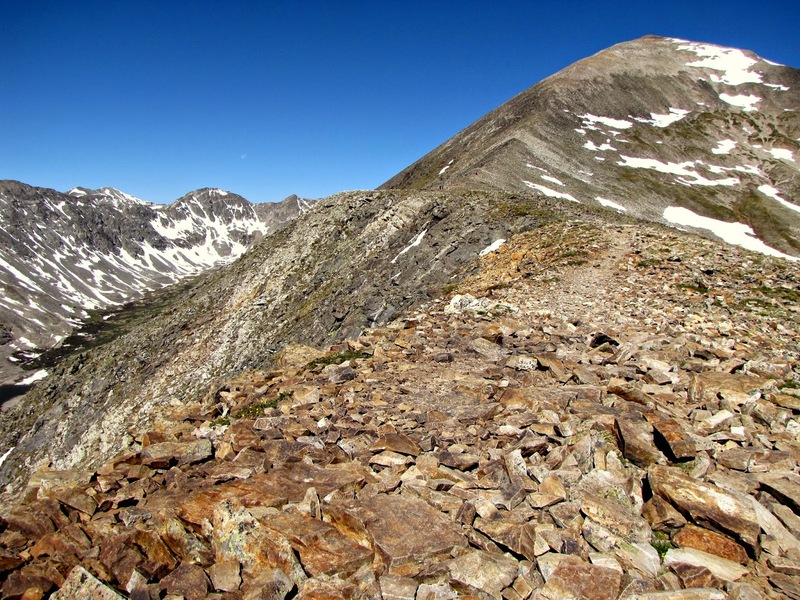 Make a right on Blue Lakes Rd and a quick right up to the Quandary trailhead. 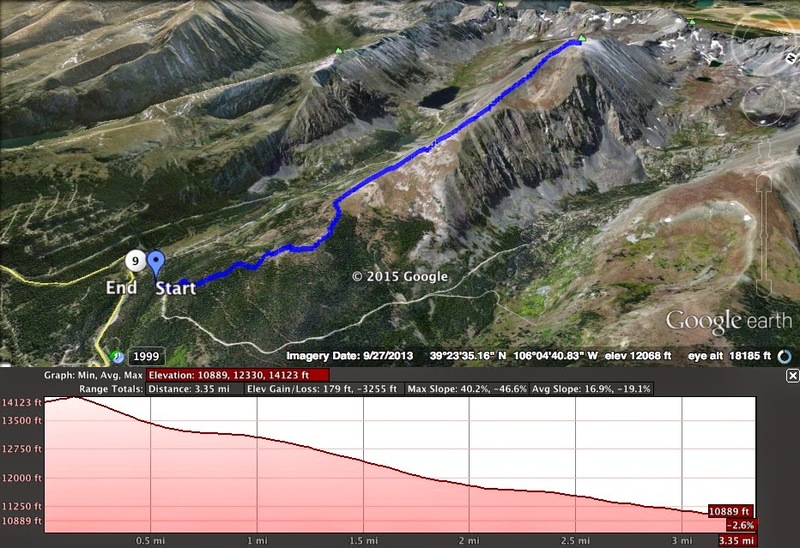 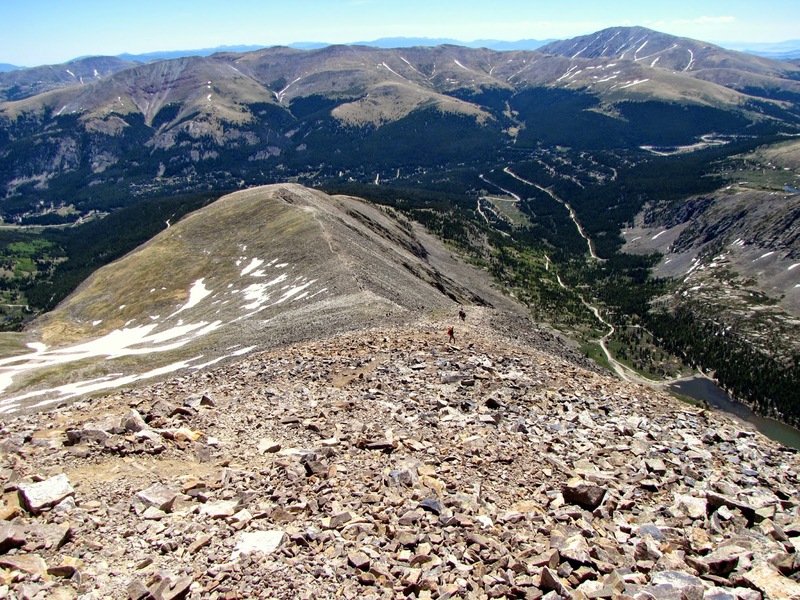 For a detailed description of routes with photos and statistics and more information that you could ever want, please visit the good people at 14ers.com. 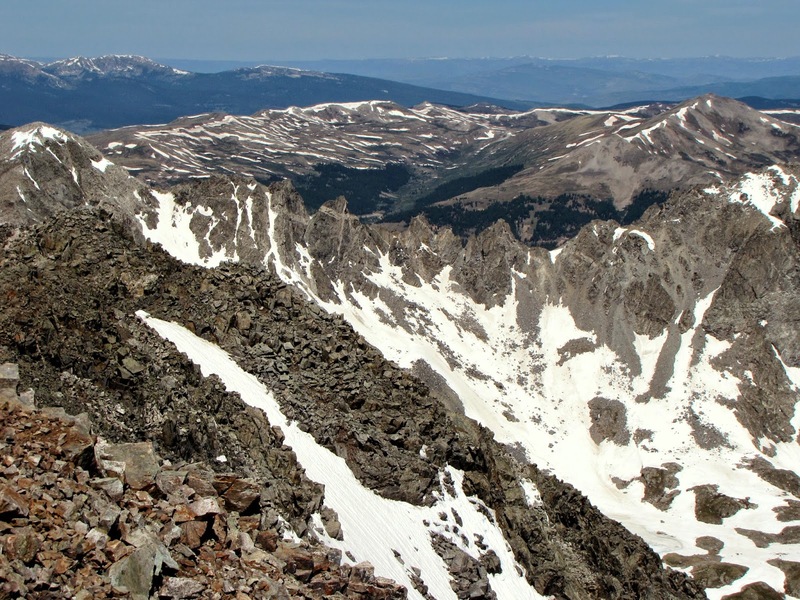 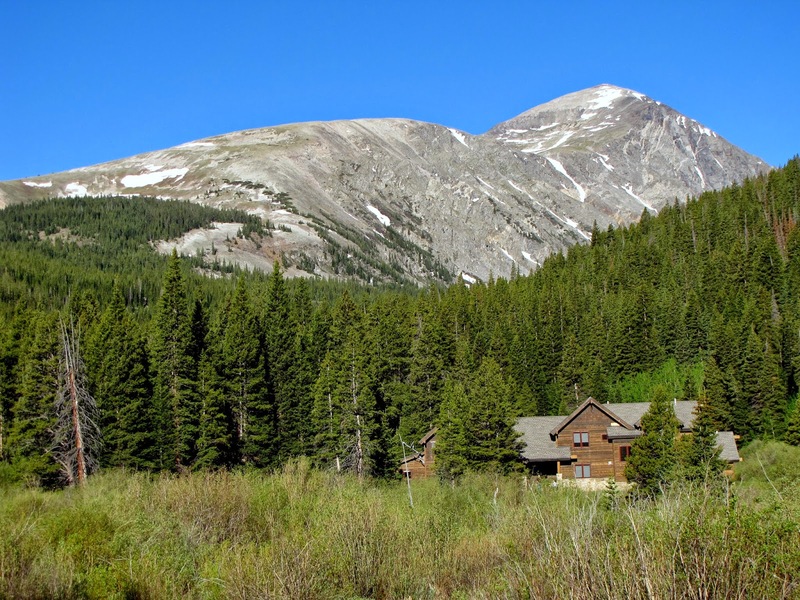 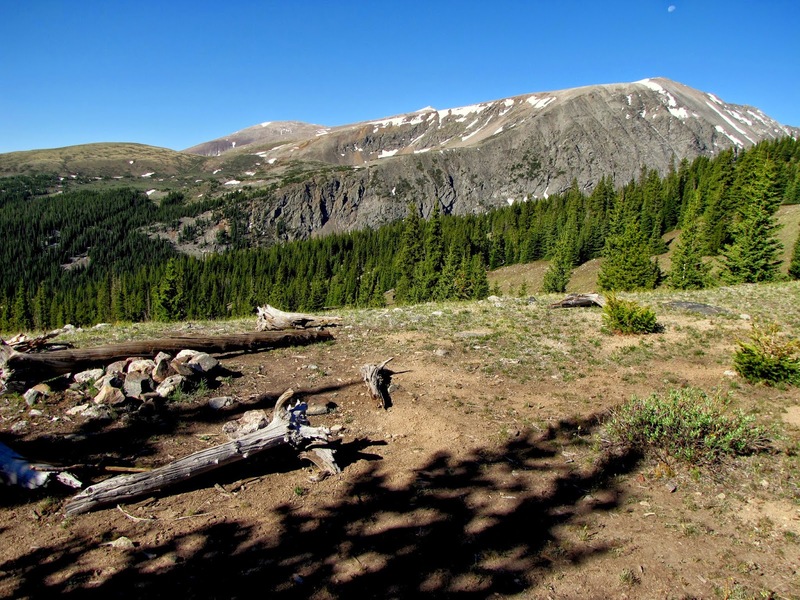 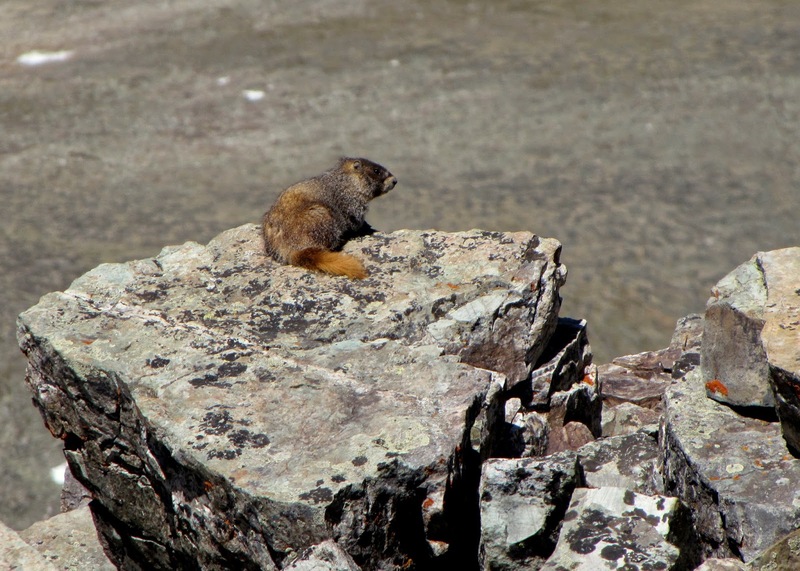 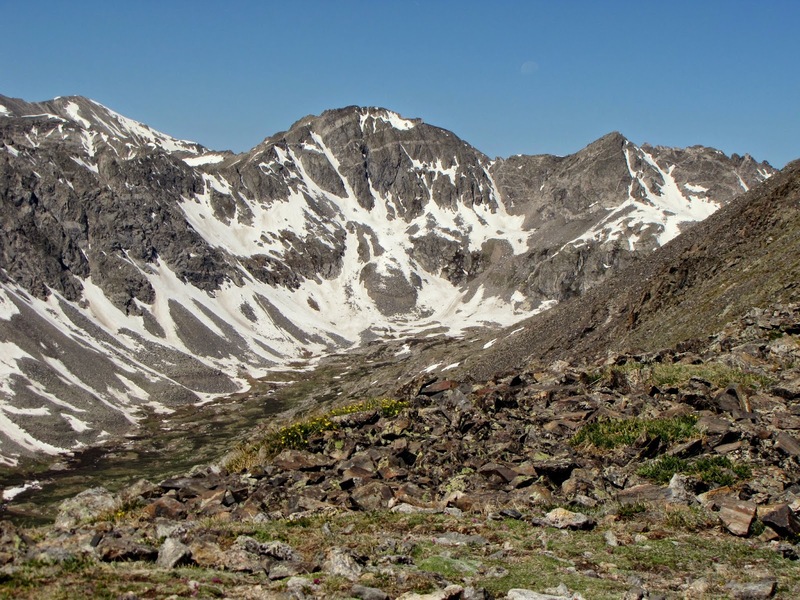 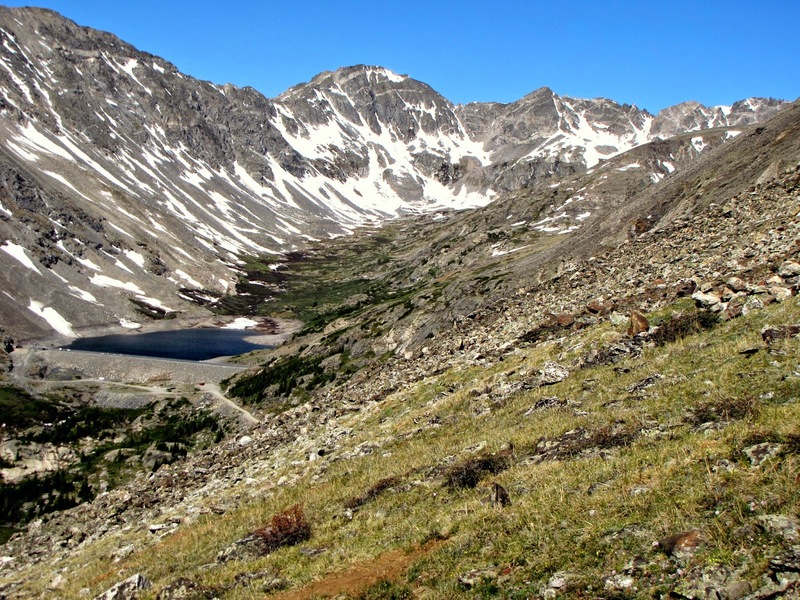 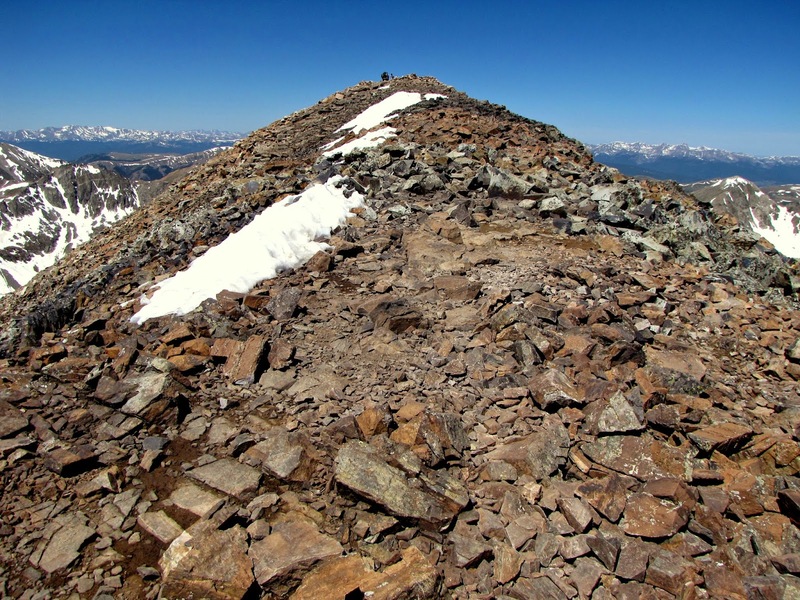 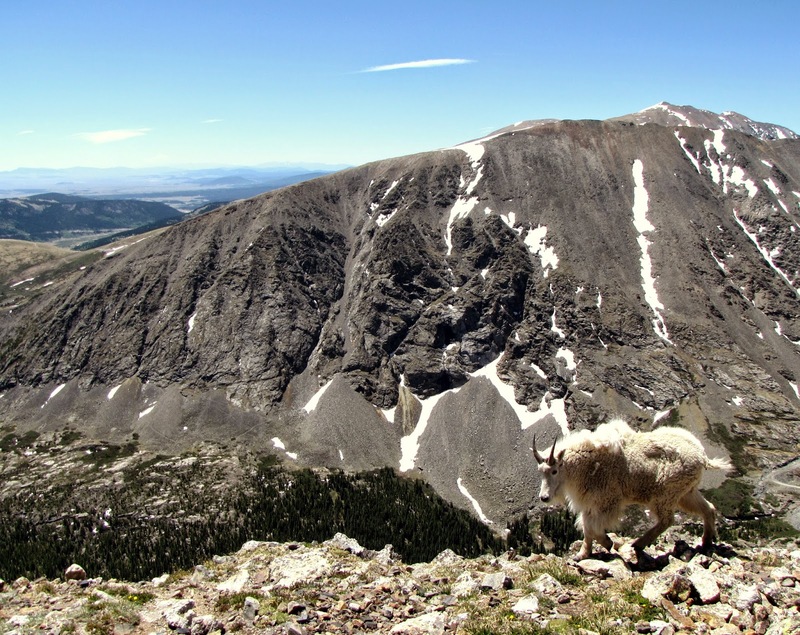 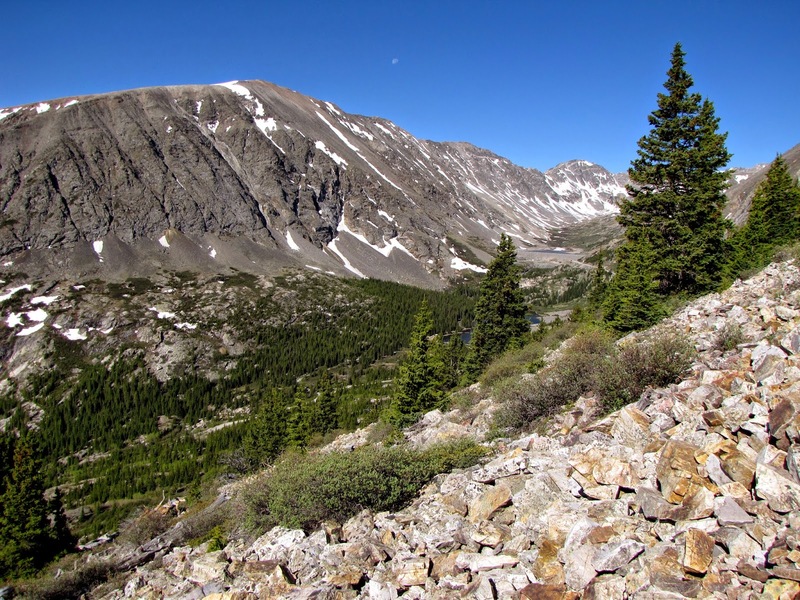 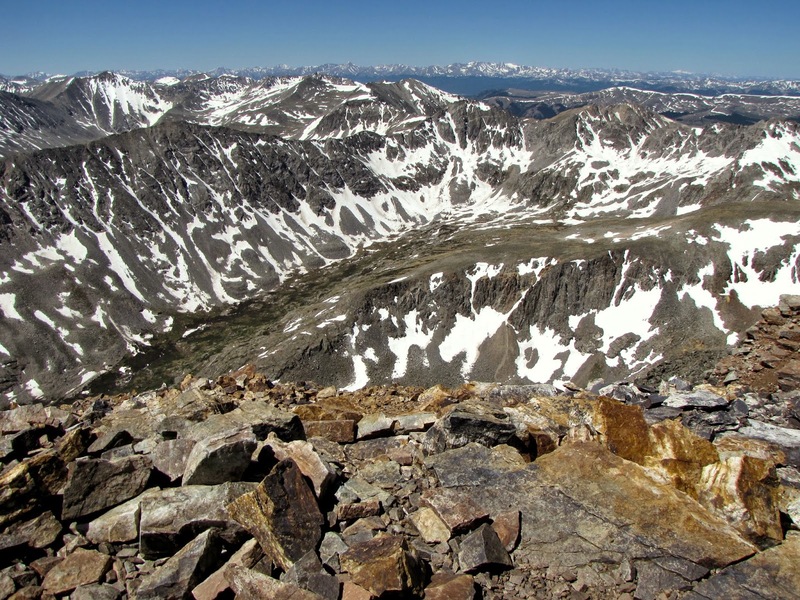 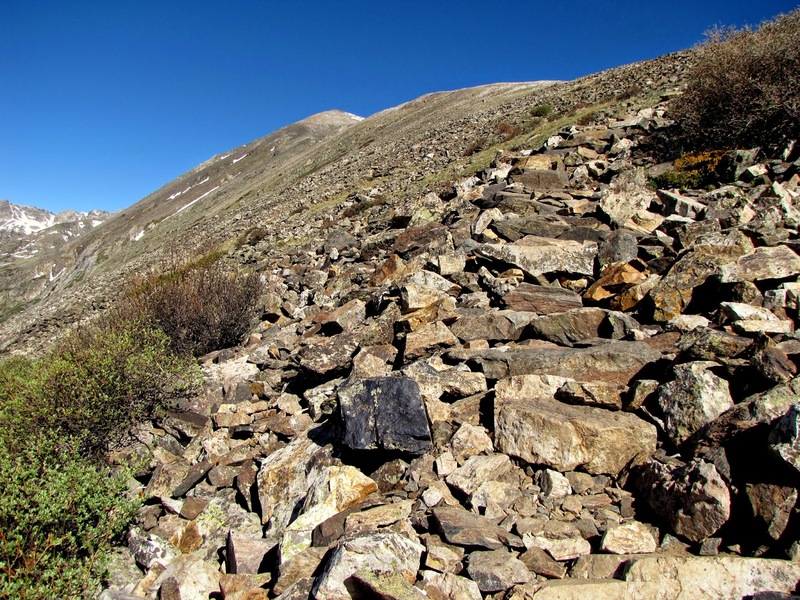 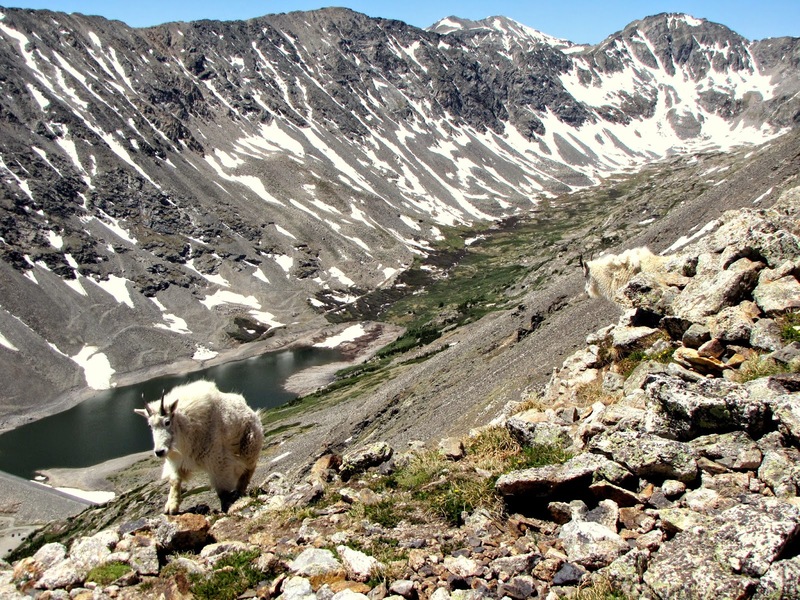 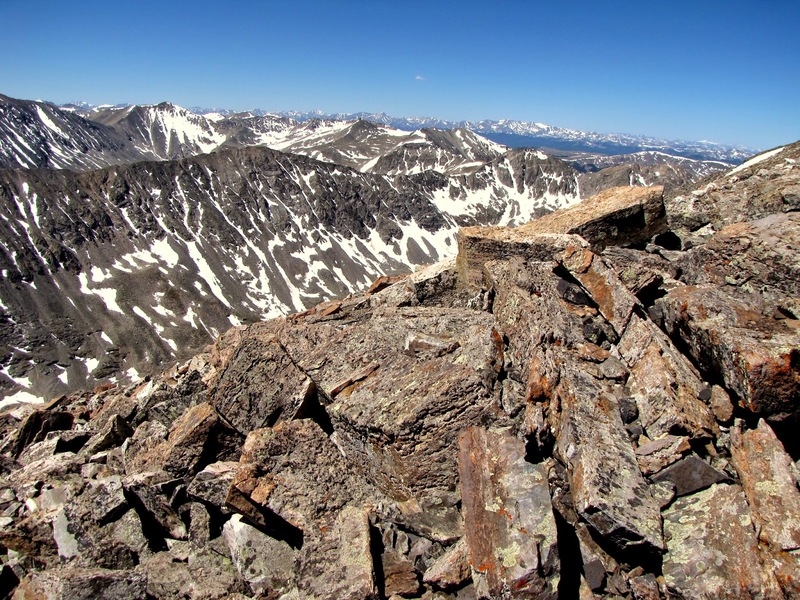 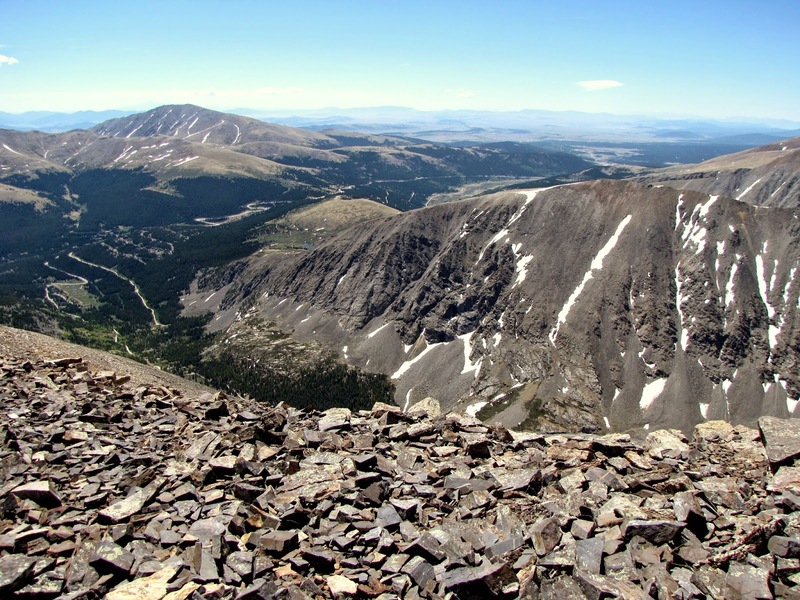 Like all 14ers this hike is a true Colorado Alpine Adventure, plus, you can be back in Denver by diner time.